John Mayberry Jr. is starting his 4th full season with the Phillies this year, he originally was called up with the Phils for 39 games as a 25 year old in 2009, then played only 11 games with team as a 26 year old as the Phillies continued to develop his play in the minor leagues. Mayberry has brief glimpses of being a really good player, then he relapses into mediocrity. John has started off the 2014 season though with a bang already, he had a home run in the 7-2 win against the Chicago Cubs at Wrigley coming off the bench as a pinch hitter. The home run brought smiles to the faces of both Ryne Sandberg and Larry Bowa, as Mayberry has been awesome off the bench for the Phillies so far in 2014. Mayberry's biggest obstacle so far in his career has been his low overall batting average and lack of production. He did have a much better Spring though this year batting .289 with 2 HR and 5 RBI in 45 AB. 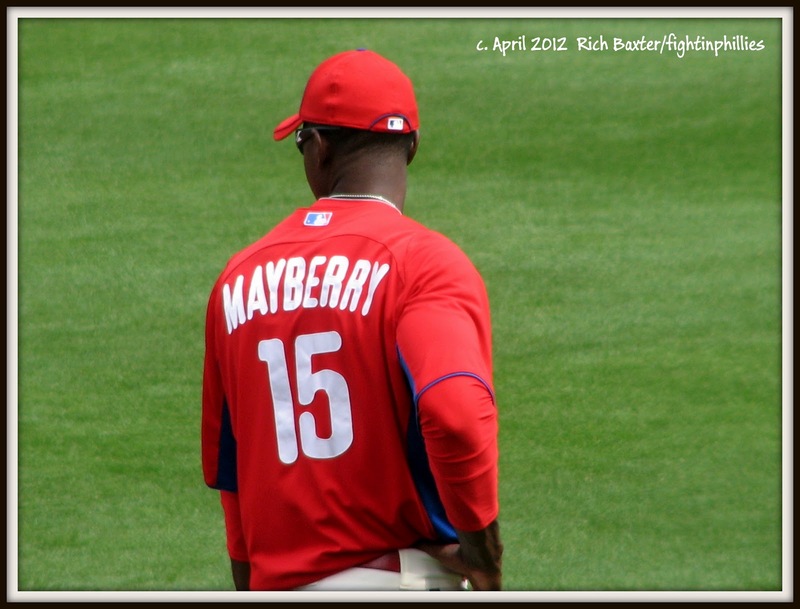 Let's see if Mayberry can continue this pace all year, or at least improving upon his previous seasons. He's currently batting .333 with 1 HR and 4 RBI in 9AB.